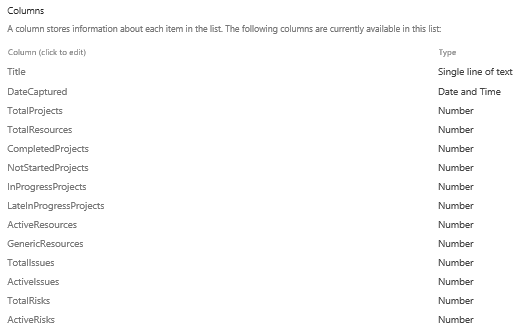 They’re all default column settings apart from DateCaptured, this defaults to Today’s Date. If you do not need the snapshot capability, you could just comment out / remove the snapshot button from the code. 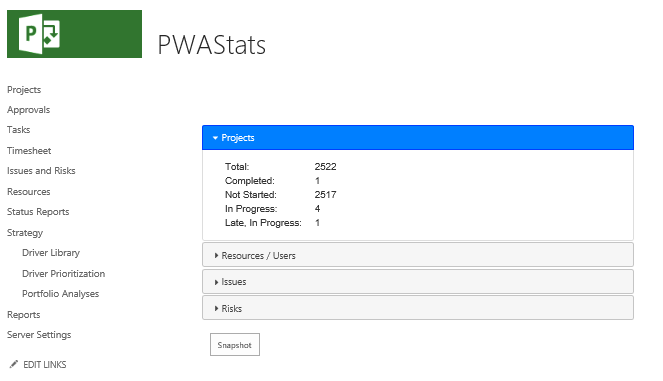 Create a new page on the PWA site to display the PWA Stats data, I created a new web part page in a library called “Pauls” in the root PWA site – this is on my test PWA site, hence a library called Pauls! 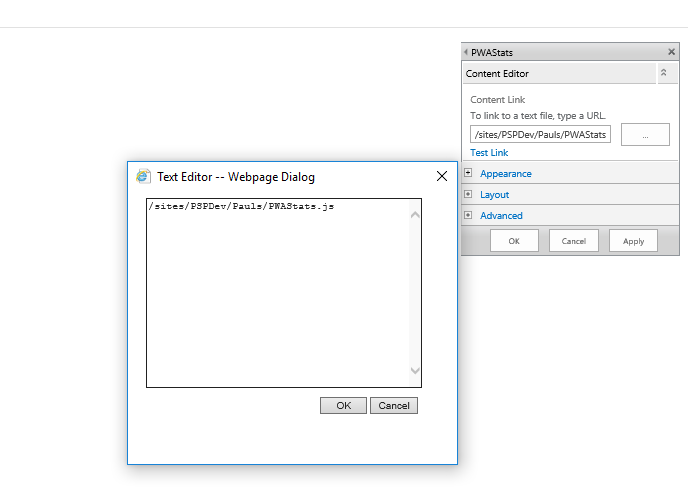 Update other web part settings as required then click Apply then click OK and stop editing the page. 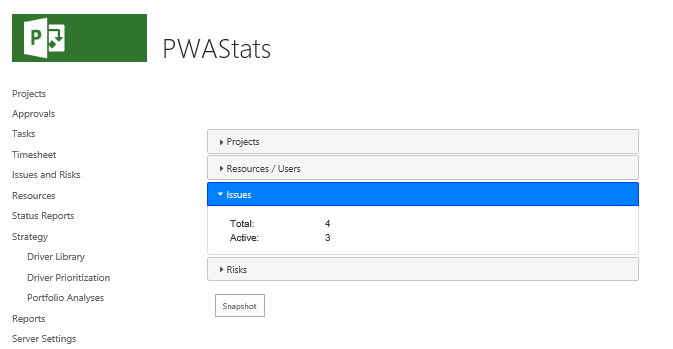 This will close once all the projects are loaded as on my PWA dataset, the projects data is the largest. 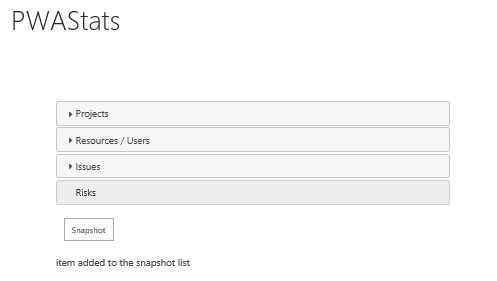 Trend reports could easily be created using Power BI consuming the snapshot list data to see how the data changes over time. This could easily be extended to bring in additional PWA stats. I will probably write a blog post in the future to extend this to capture additional PWA stats. I had some great news today – I was renewed as a Business Solutions – Project MVP for 2018 – 2019. This is the 6th consecutive year after first being awarded in April 2013. I am really grateful for the recognition, especially as I still enjoy helping out the Project and Project Server / Project Online community so much.